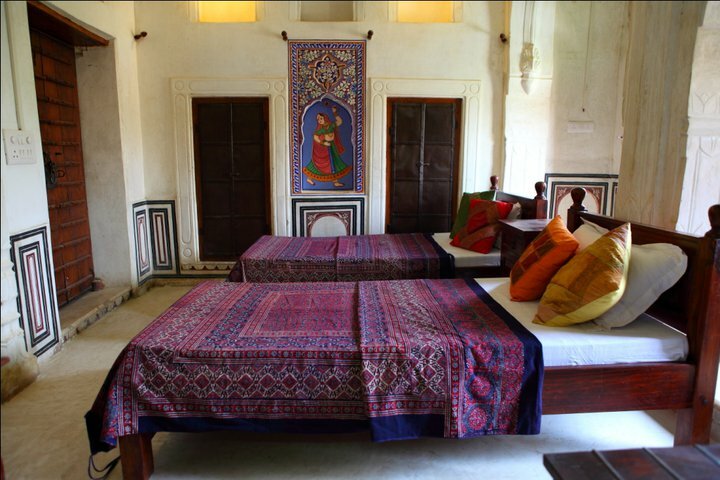 Let’s travel back in time to the era of painted havelis; the quaint little alleys with mesmerizing history and stories of victory. 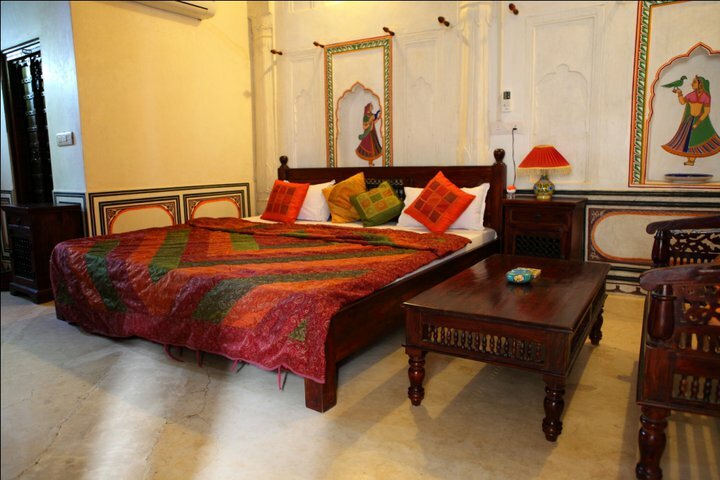 Stay in a beautifully restored 18th century painted haveli and get enchanted by its impeccable performing folklore. Savor the flavors of their mouthwatering cuisines & witness the various shades of golden all nice and pristine. 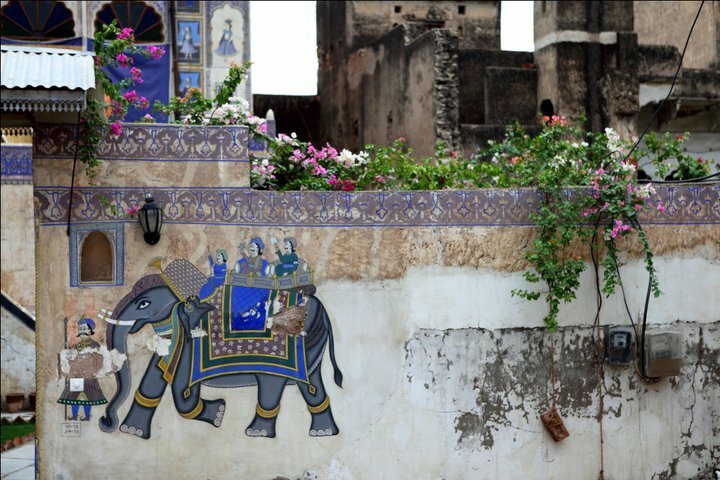 This winter, Some Place Else is taking you to the ‘open air art gallery of Rajasthan’. 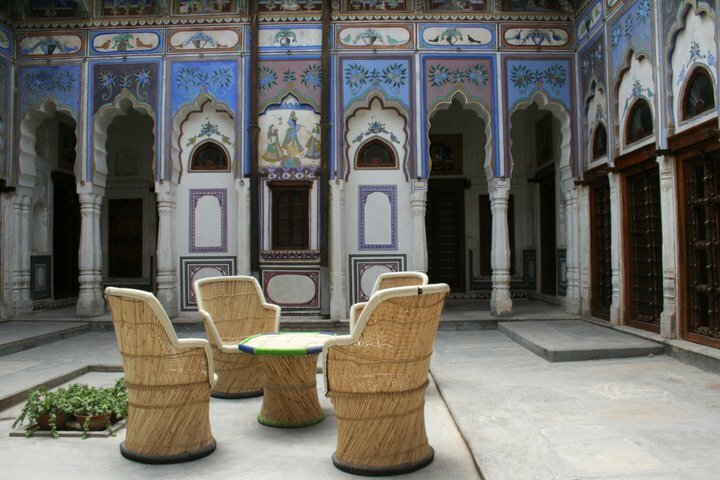 With over 400 structures, the city of Ramgarh is known to have the largest number of painted buildings – havelis, temples, and chhatris (cenotaphs). 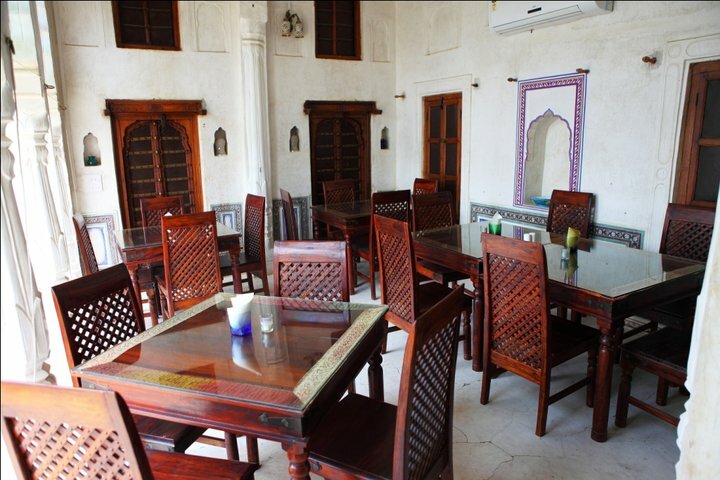 From living in a 350 year old haveli to dancing on the tunes of traditional “Bhopas & Bhopis”, from relishing authentic Rajasthani meals to enjoying amazing breakfast on the rolling dunes – we’ve arranged for it all. Join us on a trip where we go back in time! Want to join this trip or have any questions? Click here to inquire! Arrive at the hotel after lunch, relax, unwind and soak in the beauty of the place. 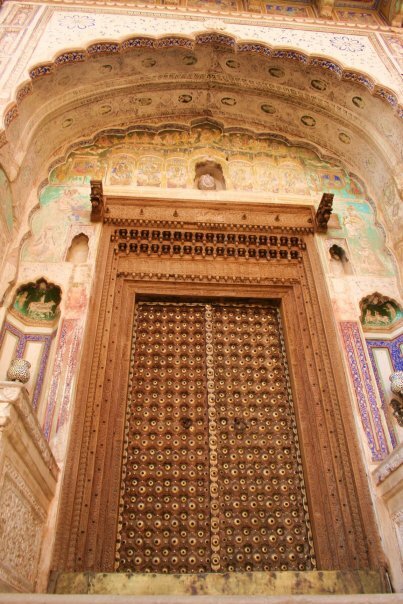 At 4 o’ clock head for a walking tour of the city personally escorted by the owner, he’ll take you through the lanes and alleys of the town, familiarizing you with the art and architecture of Ramgarh and most importantly its “Frescoes”. A photographer’s paradise, trust us, this place will interest everybody – weather you are a shutterbug or not. After the walk, return to the hotel for a refreshing cup of tea or coffee. Later, head to the terrace for an aerial view of the town and gear up for an exciting cultural evening specially organized for you. The ‘Bhopa-Bhopi’ performance is an enriching performance by a local tribe who sing and narrate episodes from the lives of Pubhu Ji, Ramdev and Devenaraya through Phad Wachan. Bhopas are expert players of an ancient musical instrument called ‘’Ravanhatha”. Believers of “Pabhu Ji Maharaj”, Bhopas are often termed as social activists of ancient times by researchers. Phad is a long cloth sheet with innumerable pictorial depictions of local gods and their tales. “Phad Vachan”- is a unique aspect of Bhopa culture where the Bhopa sings with his bhopi (wife) with a lamp close to the Phad. Enjoy a Rajasthani meal after the performance and indulge in some interesting conversations as a perfect ending note to your awesome evening. Wake up early, grab you tea at the hotel and get ready for an exciting camel cart ride to the sand dunes, where you’ll be served your breakfast today. Sit by the dunes, soak in some fresh air and the rustic feel while enjoying a hearty meal. Later, return to the hotel to freshen up. You are free to indulge in some optional sightseeing if interested. An early lunch will be served at the hotel post which we check out and bid an adieu to this lovely place. 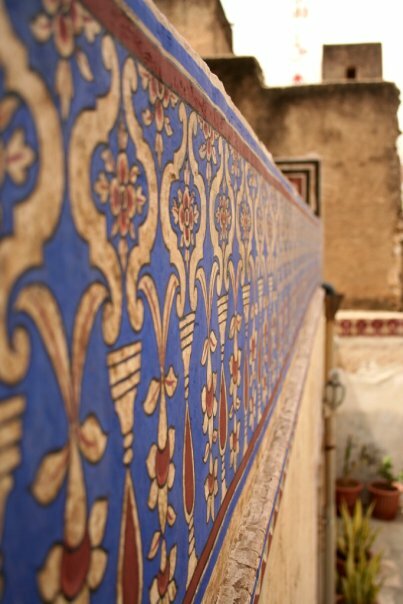 Take back a treasure trove of stories of the painted havelis along with some lovely memories. Click here to send in your inquiry for this trip! 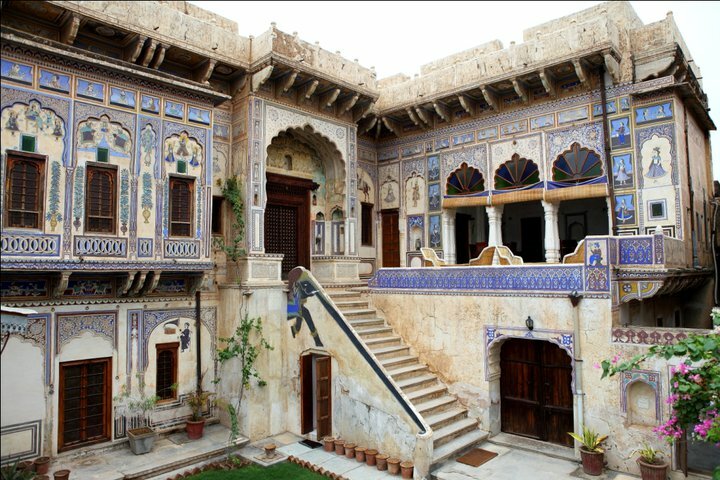 Ramgarh is located in the Sikar district of the Shekhawati region, in the northern part of Rajasthan. At a distance of 280 Kms from Delhi and 190 kms from Jaipur, it makes for a convenient drive from both these places. Churu is the nearest railway staion located at a distance of just 14 kms from Ramgarh. Jaipur is a rater convenient railhead with frequent trains flexible timing. Transfer from/to Churu Railway Station to the hotel can be arranged @ Rs.800 per way in a small car. I m in for this.